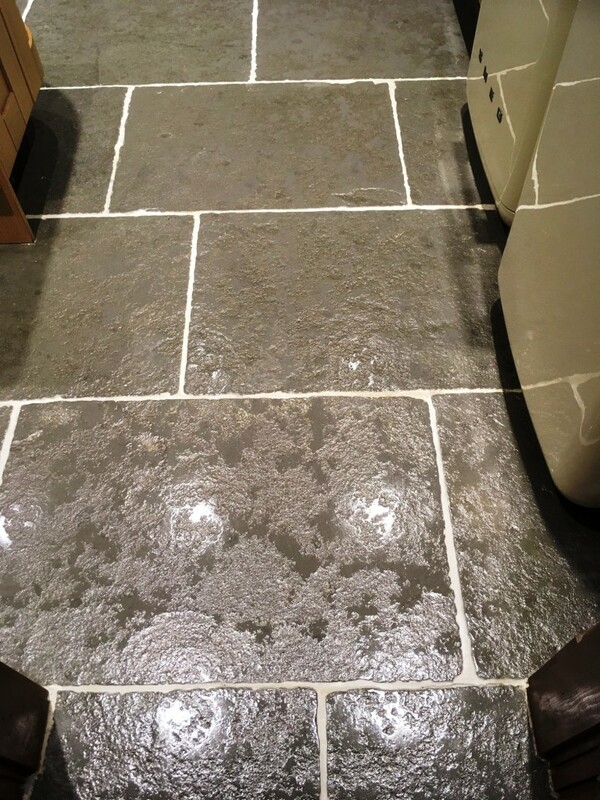 The stone floor in these pictures are in fact pre-cast concrete tiles created to emulate Limestone flagstones laid in a Kitchen in Arnside. You can’t beat the natural beauty of Limestone but these concrete tiles do give the Kitchen that rustic look the customer sought. The odd thing is, it’s actually less expensive to buy real Limestone these days as Pre-cast concrete is not a cheap product. 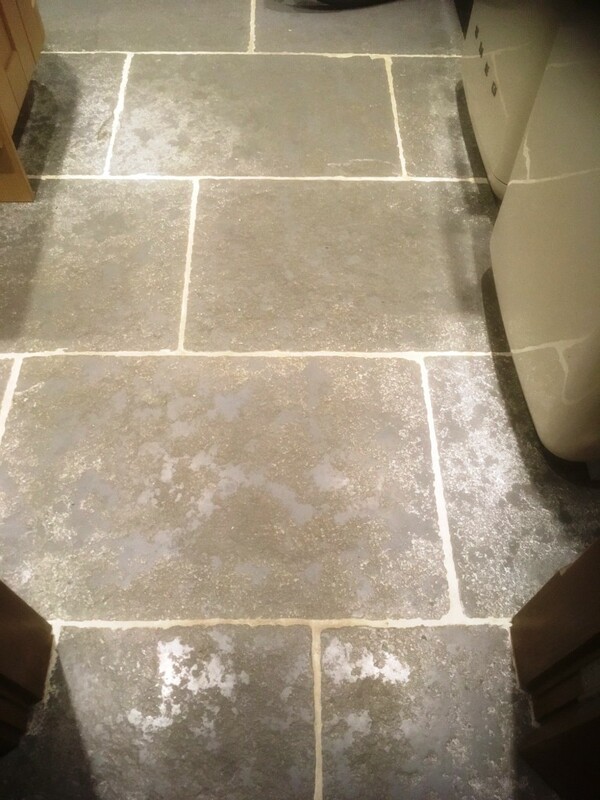 Unfortunately, in this case, the concrete had been smeared with Ivory Grout during installation and the tiler had failed to remove it after grouting and this had dulled the look of the tile. 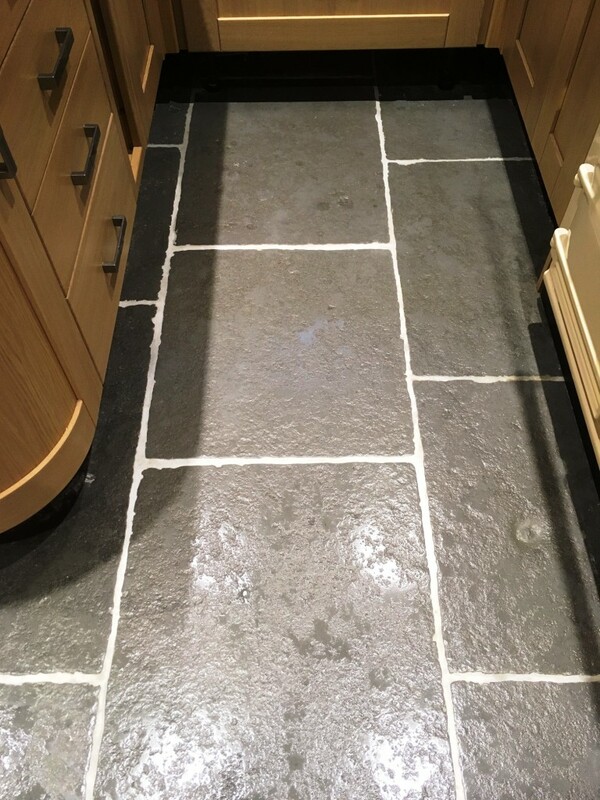 The customer was led to believe by the Tiler that the off-white colour was indeed part of the stone and had put up with it for several years before we were called out. First of all we conducted a test clean to make sure our usual cleaning system would work as well on pre-cast concrete. I was aware that this type of product has a colour dye added to it which does seem to lose colour over the years and also can lose quite a bit of this dye once we start cleaning with strong chemical’s. Not wanting to risk any depreciation in the colouring I opted instead for the application of a set of Tile Doctor Burnishing pads. The pads are encrusted with industrial Diamonds and come in different grits from coarse to fine and I found that not only did the process remove a lot of the of White grout haze left by the tiler but also gave us a good start to the cleaning process without losing any more of the colour Dye. The customer has specified they were keen for the floor to have more of a sheen finish, so we finished the cleaning with the rest of the Diamond pads finally ending on the super fine pad. We had to do some edging work where the circular pads could not reach but apart from that the pre-cast concrete responded well to this treatment as you will see on the before and after pictures. The next day we called back to seal the Kitchen floor to protect it from staining, something that is more than likely in a Kitchen. 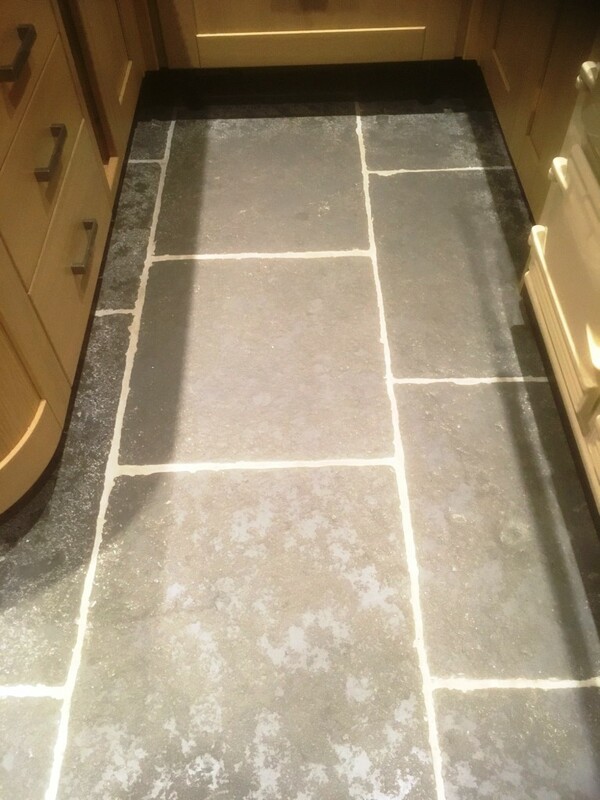 For this we used a couple of coats of Tile Doctor Colour Grow which not only protects by soaking into the pores of the tile but also restores a lot of the colour that had previously been lost. 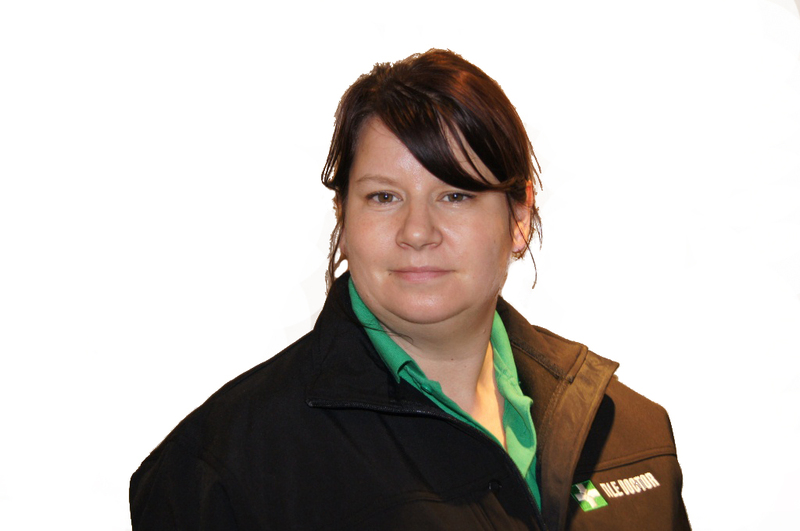 For aftercare I explained to the customer that sealers do wear off over time and so to get maximum life out of the sealer they should clean the floor with a pH Neutral Cleaner like Tile Doctor Neutral cleaner. It’s designed for cleaning sealed tiled floors and it won’t affect the colour dye or the Sealer we have applied unlike stronger products will eat away at the sealer over time. Additionally, pre-cast concrete like Limestone is Acid Sensitive and as such products like certain types of the Cillit-Bang range cannot be used on a floor like this as it will cause surface damage.